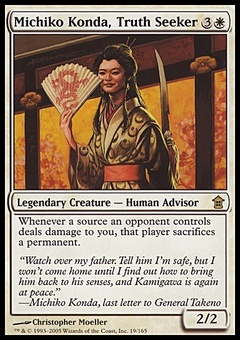 Subterranean Scout ($0.01) Price History from major stores - Magic Origins - MTGPrice.com Values for Ebay, Amazon and hobby stores! 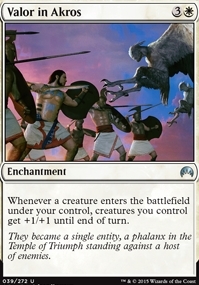 Card Text: When Subterranean Scout enters the battlefield, target creature with power 2 or less can't be blocked this turn. 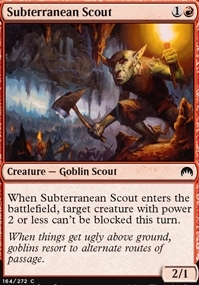 Flavor Text: When things get ugly above ground, goblins resort to alternate routes of passage.